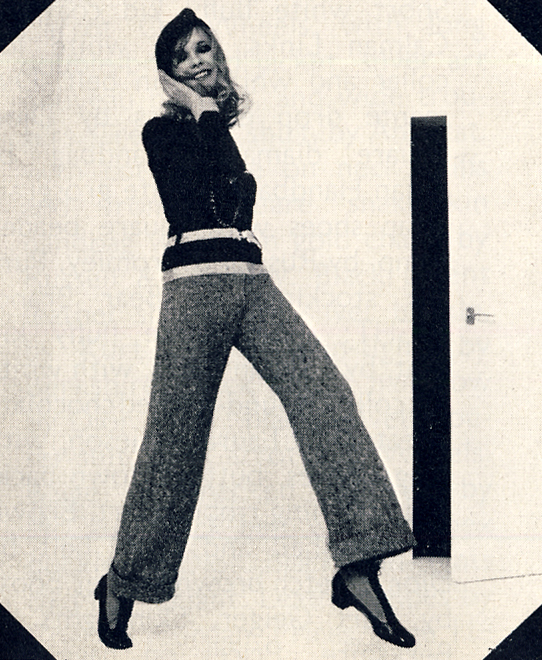 The waist is the place to expose for summer 1969. For dancing, for the beach, for anywhere. (But do count calories carefully!) Savita has designed a range of bared-waist outfits to set you dancing endlessly, endlessly. The tops are based on the classic Indian Choli — the small, tight top worn with the sari. Skirts can be short or long — but every time, they’re skirts to swirl and swing and sway. Scanned from Queen, June 1969. Short skirts, bare waists, little tight Choli tops, and fluttering, floating butterfly sleeves. All-over print or border print on handloomed Indian cotton, either costs 25 gns, at Savita, 30 Lowndes Street, SW1. …can be coped with from bed If you have a telephone, a writing hand, and a London address, why walk? Christmas can come to you. Scanned by Miss Peelpants from Queen, December 1969. 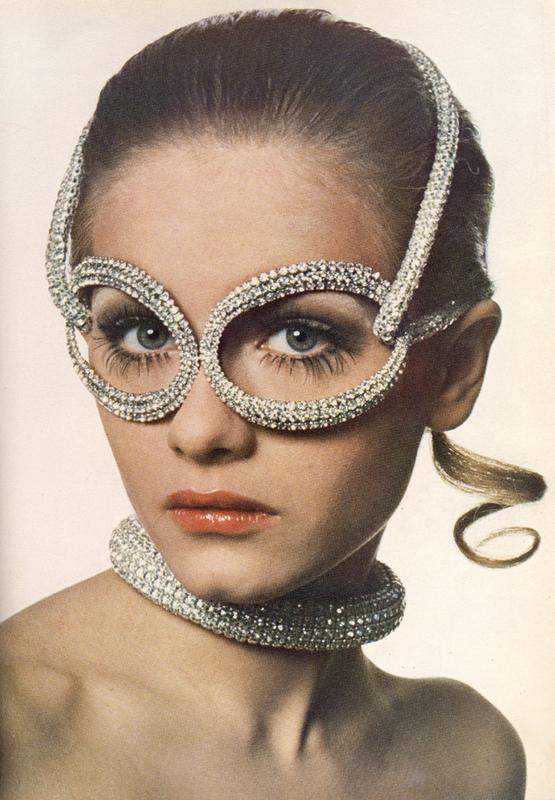 Inspirational Editorials: Pearls. The Why. The where. And the How. Coming in, pearls in quantities to make an oyster shrink. But never well-bred strings, Felicity Bosanquet’s idea of wearing pearls is lavish. She loops and circles them into a bolero, a skirt, slings them monster-sized around her waist. Try pearls. They’re good for you. Cleopatra took hers internally, like a Disprin. 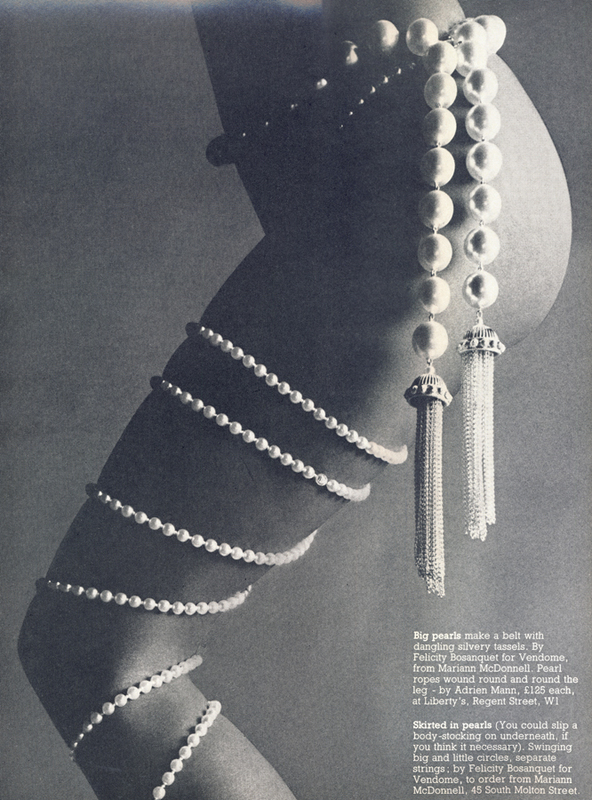 Big pearls make a belt with dangling silvery tassels. 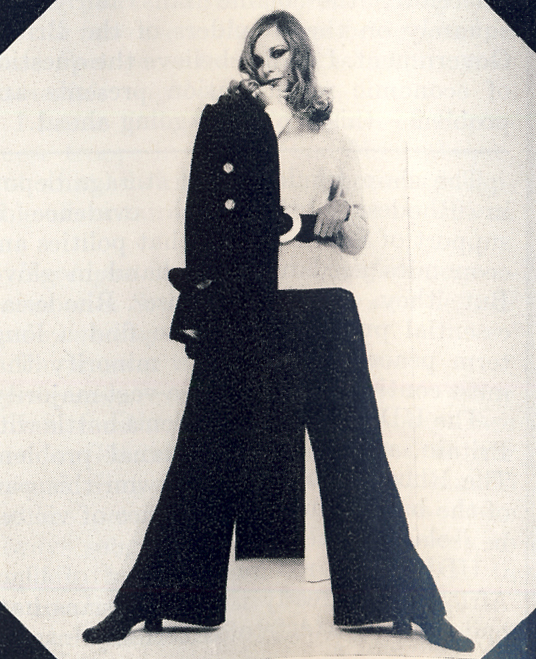 By Felicity Bosanquet for Vendome, from Marrian McDonnell. Pearl ropes wound round and round the leg – by Adrian Mann, £125 each, at Liberty’s. 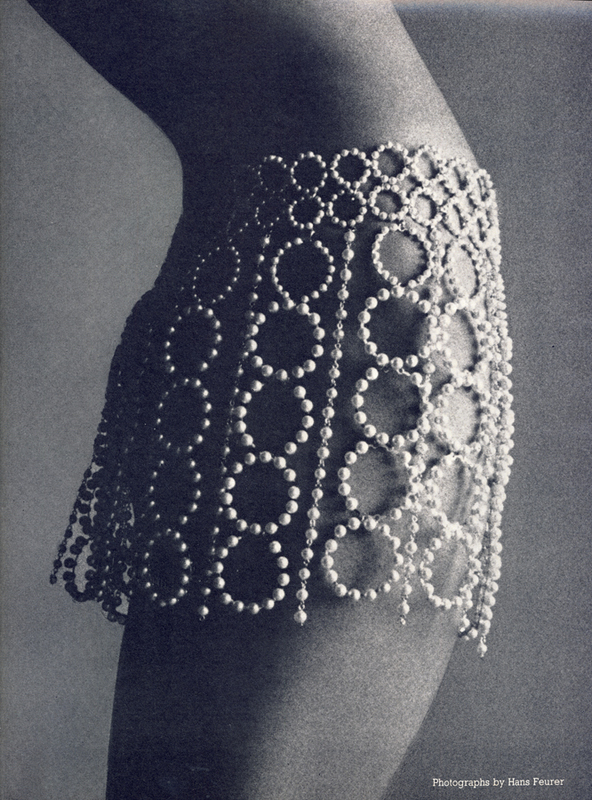 Skirted in pearls (You could slip a body-stocking on underneath, if you think it necessary). Swinging big and little circles, separate strings, by Felicity Bosanquet, to order from Marrian McDonnell.